Florida State University and Seminole Dining are coming to the rescue and providing their huge mobile kitchen for hurricane relief efforts. 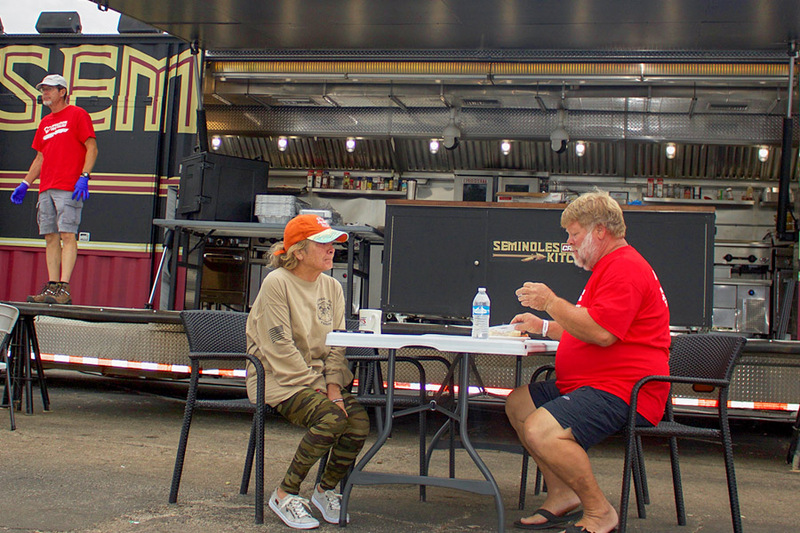 FSU’s Seminoles Cruising Kitchen, a mammoth 18-wheeler with dual kitchens constructed on a 92-foot-long truck bed, has been cooking meals for scores of volunteers, busy making meals for hurricane survivors and emergency workers. The big rig has been operating at the Northwood Centre on North Monroe Street since Sunday. The relief effort received a big boost when members of the nonprofit group “Operation BBQ Relief” converged on Tallahassee to prepare, cook and package barbecue meals for people impacted by Hurricane Michael, as well as the first responders working to bring life back to normal in the region. Clark said Florida State sprang into action as soon as the university got word of the opportunity to help in this way. The Seminoles Cruising Kitchen is certainly qualified to handle the mission — it’s one of the largest custom-mobile kitchens in the United States. 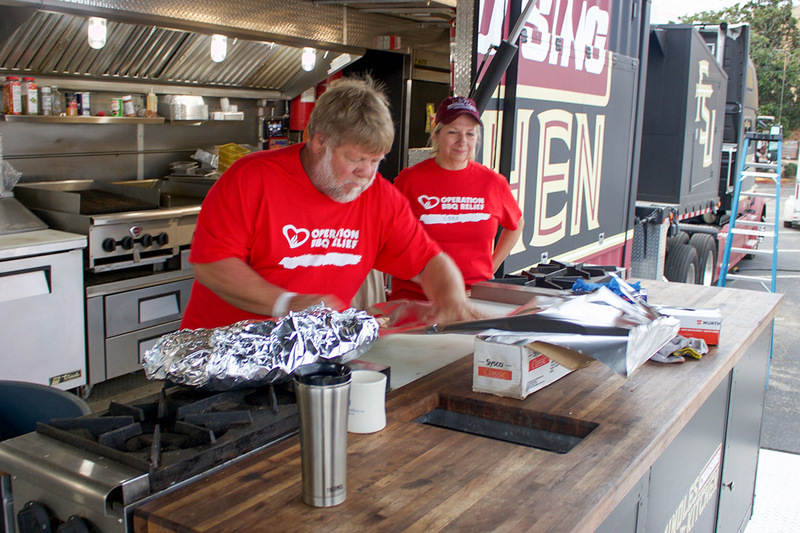 Operation BBQ Relief, based in Kansas City, travels around the country to provide barbecue meals to people impacted by disasters. The group was created in 2011 following a devastating EF5-rated tornado in Joplin, Missouri, that was one of the deadliest in U.S. history. Since then, the group has prepared more than 2.2 million meals for emergency responders and disaster survivors. “It’s amazing to have access to a fully mobile kitchen that can support people who are helping with disaster relief,” said John Teeple, regional district manager for Seminole Dining. Along with two fully operational kitchens, Seminoles Cruising Kitchen is equipped with a large stage, multiple widescreen TVs and a dynamic sound system.